‘We live in an evil world. The devil is very strong at the minute, very strong, and I believe the end is near. The bible tells me the end is near. The world tells me the end is near. Just a short few years, I reckon, away from being finished. ‘There are only three things that need to be accomplished before the devil comes home: one of them is homosexuality being legal in countries, one of them is abortion and the other one’s paedophilia. Who would have thought in the 50s and 60s that those first two would be legalised? ‘When I say paedophiles can be made legal, that sounds like crazy talk doesn’t it? But back in the 50s and early 60s, for them first two to be made legal would have been looked on as a crazy man again. If I would have told you 120 years ago, that a 1000-tonne aeroplane is going to float through the sky, a piece of steel — ludicrous. ‘When Christopher Columbus said the world was round, he’s an idiot. All these things that happen in the world, wise men already know they’re going to happen and they see what they really are. ‘This is a funny world we live in and an evil world. People can say, “Oh, you are against abortions, you are against paedophilia, you are against homosexuality, you’re against whatever”, but my faith and my culture is all based on the bible. The bible was written a long time ago, from the beginning of time until now, and if I follow that and it tells me it’s wrong, then it’s wrong for me. That’s just my opinion. ‘How many people have different opinions in this world? Every different person has a different opinion of what that bottle really is or what colour it is. If I say that bottle is clear, there will be someone out there telling me that bottle is green or blue. ‘My opinion is that I follow what the Lord says. Or I try to. Others are following what they want to do, basically. They are living for their self. I am living for God. 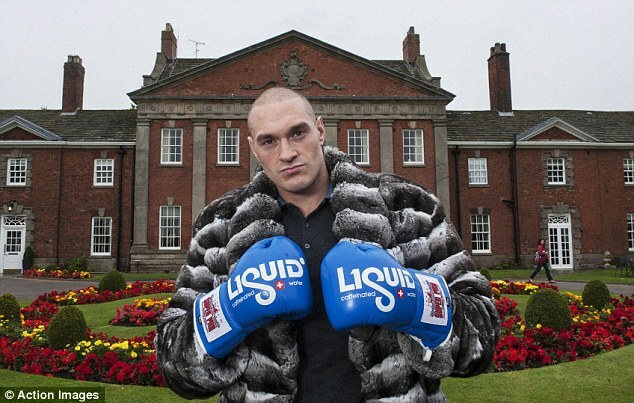 Tyson Fury, the new Heavyweight Champion Of The World, speaking to The Mail On Sunday earlier this month. Heaven forfend anyone might 'think he's round the bend'! NB Mr Fury's job involves being repeatedly hit round the head rather a lot. 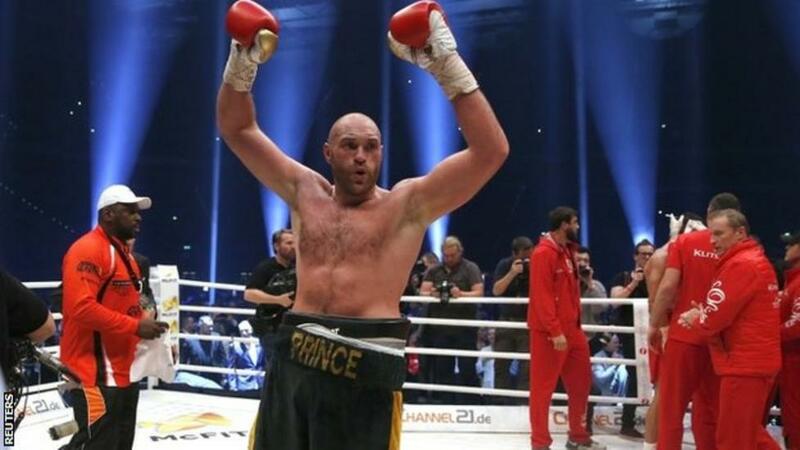 Update: Vote for Tyson as yer BBC Sports Personality Of The Year 2015! He has a cheek, considering he likes to lick other guys in the ring.